We live in a world that makes it hard to lose weight. Our collective lifestyles are not conducive to eating a healthy diet, and most people are so loaded with obligations that keep them tied to their desk that the thought of breaking off an extra hour of the day to dedicate to fitness seems about impossible. This is the reality that most of us live in. Even when you commit yourself to medical weight loss in Ocala this environment and cultural mentality will be all around you. It is up to you to guard yourself from the environmental factors that dispose you to weight gain and to do your best to stick close to your healthy habits even when times get tough. What makes losing weight so hard to do? This is a question that a lot of people ask themselves when trying to change their habits. When you break down all the ways our environment makes losing weight difficult, it might not be so hard to understand why losing weight gets complicated. 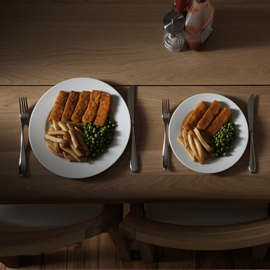 Big portions: Everywhere you go the portions are so huge that many people don’t realize just how much they’re eating. Even something standard like a bagel has grown to be so large it is actually two portions now. Highly processed, high-calorie foods: Fried foods are just about standard in many people’s diets, but the frying process actually adds more fat and calories to an already calorie-heavy item. When you break down the calories in processed snacks like chips and cookies it is no wonder so many people have trouble losing weight. Try shifting your snacking habits to whole foods like fruits and veggies instead. Overstressed: Stress impedes weight loss progress, and most people face a lot of stress in their lives. Try practicing good stress management tactics like deep breathing exercises to calm down. Lost sleep: Long work days coupled with hours of errands and other obligations lead to a lack of sleep. This is common, but skipping out on sleep isn’t going to do your waistline any favors. Missing sleep is likely to make you overeat in an effort to gain energy, not to mention cut down your exercise time thanks to fatigue. These are obstacles that just about everyone faces while trying to lose weight. Becoming aware of the challenges in your environment can help you be better prepared for when they head your way.